Months ago, we began to dream as a church what it would look like if we started a Love Revolution in our neighborhoods, communities, cities, and even in our world. We wanted to see what would happen if we showed everyone just what Jesus' love looks like when it's lived out well. We wanted everyone to see His love and every heart to sing His praises. So far, we've changed the life of a family in Spring Hill through an extreme home makeover. 550 kids have been given shoes at Rock Rest Elementary. 39 moms and babies are being taken care of in Lima, Peru. And on November 13th, this movement will get a soundtrack. 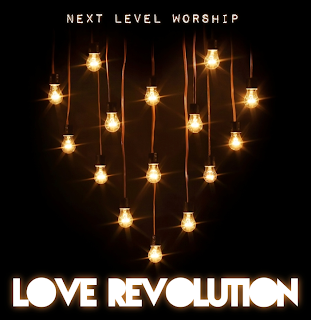 Our amazing and talented volunteer band, Next Level Worship, is releasing their debut album, "Love Revolution", in just a few short weeks. The record is filled with songs of hope and joy and the truth of Jesus shines through every track. It's going to be an amazing tool for the people of Next Level Church to be able to give to their friends and families and show them just what Jesus' love is all about, in a way that everyone can understand. And as a side note, this record will ROCK. It's also filled with 100% original music. These songs were written out of the heart of Next Level Church, written to inspire and teach and lead God's church in worship of Him. We couldn't be more excited to share this album with you, and it's all coming your way soon. In fact, this weekend, we'll be letting you know what you can do to get the first song sent to your email weeks before the cd release... you don't want to miss it. One last thing you've gotta know. Mark this date. 11-13-11: the release concert, the first place you can get your copy, the next step in a Love Revolution.